Not all artists yearn to open their own gallery or show in a museum. Art can be healing and therapeutic, and art therapists combine psychotherapy with the creative process to improve mental health and wellbeing. 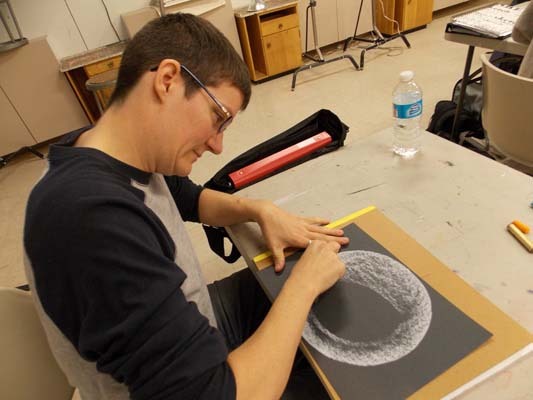 Tidewater Community College became the first community college in the commonwealth to offer an Associate in Applied Arts in Studio Arts with a Specialization in Pre-Art Therapy in spring 2014. In her previous position as chair of the department of visual arts at Chowan University, Rupsch was instrumental in setting up the art therapy concentration. TCC’s 66-credit curriculum includes studio art classes, including Fundamentals of Design (ART 131), Drawing I and II (ART 120 and 121) and Painting I (ART 241). A minimum of 12 semester credits in studio art is required as well as Developmental Psychology (PSY 230) and Abnormal Psychology (PSY 215). Dorolyn Alper, a registered nurse and board certified art therapist, teaches Introduction to Art Therapy (ART 183), a new class specifically designed for those specializing in art therapy. Alper has professional experience in private practice and in higher education in addition to working in inpatient psychological settings and communities that support the homeless. Gerry Mattoon how to make a paper dove. Alper’s classes generally start with lecture and evolve into students performing the type of art they would facilitate with a client. 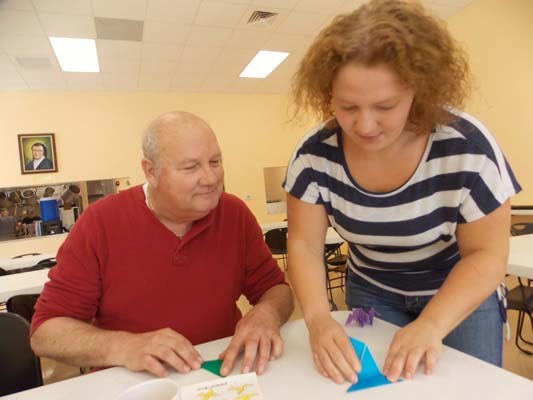 Students spent a recent class period at Oasis, a social ministry center in Portsmouth, where they worked alongside the homeless creating a group art project that hangs at the center now. “Even if you don’t want to be an art therapist, there is so much you learn about yourself in this class,” said student Jessica Presley. Students who complete the pre-art therapy specialization will be prepared to work in art galleries and museums; they can also assist as recreation aides in cultural art centers and recreation centers. Students can transfer to complete their bachelor’s in studio arts or psychology. Virginia Wesleyan College facilitates students in entering graduate programs such as Eastern Virginia Medical School master’s program in art therapy and counseling and Chowan College, which offers a concentration in art therapy under the bachelor’s of science in studio arts, also transferrable to EVMS.